Arlington is one of D R Harris' most popular collections. A balanced blend of citrus & fern notes create a masculine aroma that's uplifting and stimulating, but not over-powering. This beautifully scented soap bar carries almond oil which conditions the skin leaving it hydrated and nourished. The triple-milled manufacturing technique used to create this bath soap means it's slightly harder that regular soap so therefore lasts much longer. Step aside shower gel, the traditional soap bar is making a comeback, and a big one at that. D R Harris have been manufacturing luxury bath and body products for over 130 years and the soap bar is one of their oldest formulas. D R Harris reworked the conventional soap recipes more commonly used by mainstream manufacturers to create a cleansing bar that removes body odour and bacteria but leaves the skin hydrated and nourished. The addition of almond oil to the soap means that post-use the skin is soft and supple of full of hydration. 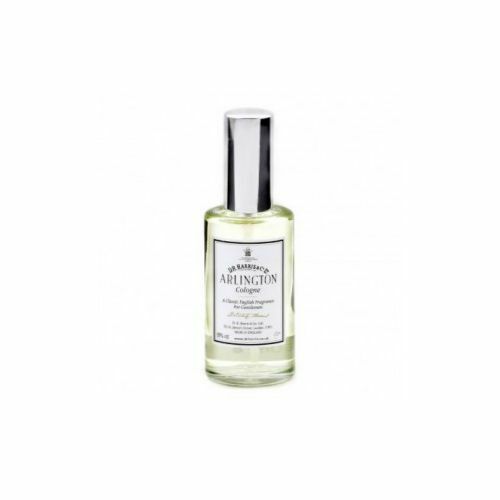 The subtle scent of D R Harris' outstanding Arlington fragrance lingers on the skin (and in the bathroom) for hours after use. If you leave the soap suds on the body for 60 seconds the skin will capture the Arlington scent.